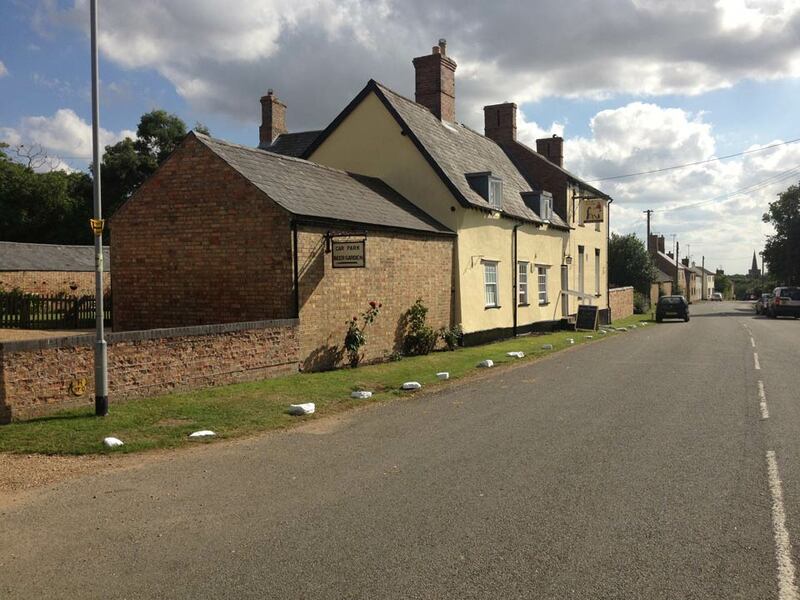 The Fox & Hounds is a Grade II listed pub in the quiet village of Great Gidding. A real gem of a village pub with a strong local trade. A range of menu options are available with an emphasis on authentic Thai curries cooked freshly in-house. Local guest beers are always available alongside Guinness and lagers. Opening hours: Tues – Fri: 17:00–00:00; Sat – Sun: 11:00–00:00. We also hold regular events at The Fox & Hounds. Please check the Events page or phone John for further details. Telephone John Chiswell on 01832 293298 for more information. Would you have a room available for two people for one night for Saturday, 6 July 2013.
would recommend a visit . Enjoyed visit on the first Aug – yes my first billet was your house number 45 – the next room to your house was the saddlers workshop and the room after that was I believe the store room. After 75 years I still have fond memories of the Giddings. I still have one mystery who was Anne from Little Gidding? She let me ride her bike!